Because of this dedication to personalized care, WellBeingMD SM is an out-of-network provider for all major insurances and is a non-participating provider in Medicare. We have made this decision so that our time is well spent with you, the patient, rather taking care of the increasing demands of insurance red tape. 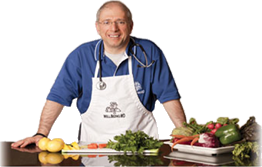 We provide effective care that is focused on nutrition, physical activity and mindful living: The foundational principles for optimal health. These principles are not reimbursable in the current sick care system. Clarification of these financial policies are in the documents below. Click on the links to read and download the documents. Please download the Frequently Asked Questions Regarding Change in Insurance Status Below.